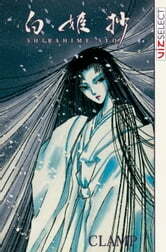 SHIRAHIME-SYO is CLAMP’s return to traditional Japanese form and story-telling. Featuring luscious watercolors and gentle brushstrokes, it is a beautiful departure from CLAMP’s usual fare. Discover for yourself the mystery behind the snow.